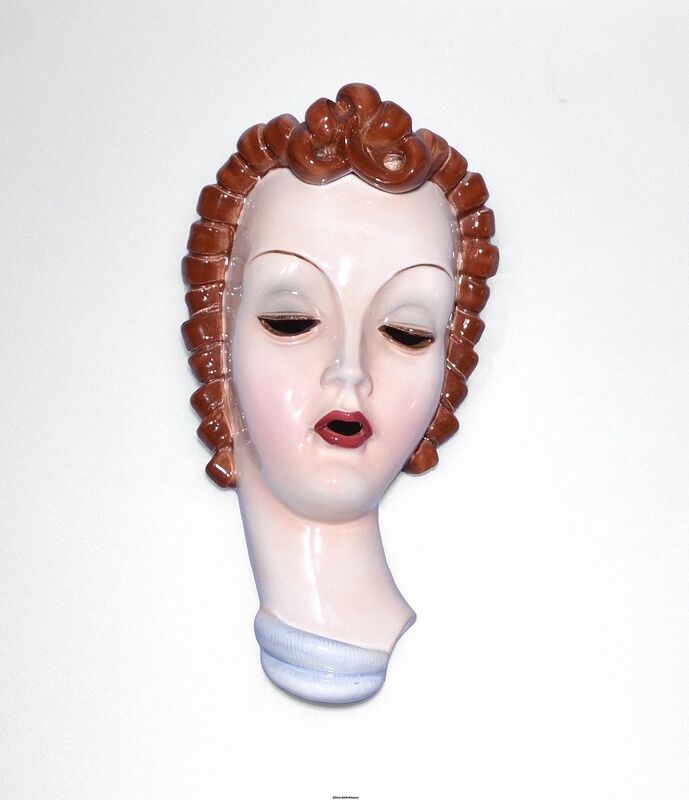 This is an absolutely superb wall mask by the Austrian company Royal Belvedere. She really does not need any description other than to say that the subtlety of the colouring and the quality of the glaze are amazing! 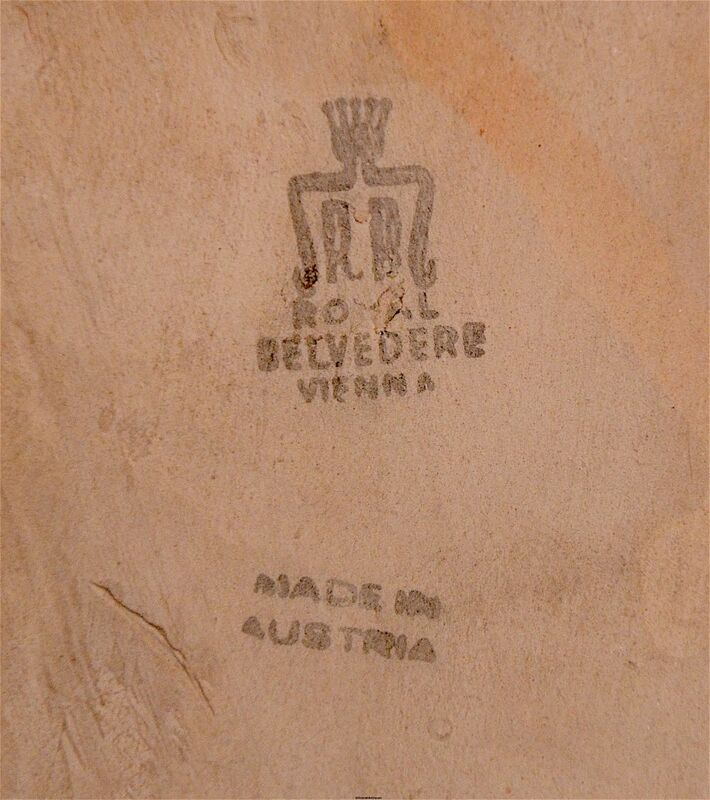 The back has an impressed number "2047", "Made in Austria" and with the Royal Belvedere mark with "Royal Belvedere Vienna" stamped beneath. Dakon designed many wall masks for Royal Belvedere Studios and it is possible that this one designed by Dakon.